Philip Kwok is a Counsel of LC Lawyers LLP. His practice focuses on complex commercial litigation and arbitration, regulatory investigations, cybersecurity and data protection, financial technology compliance, electronic data preservation and retention, as well as disputes and regulatory matters for internet and e-commerce businesses. 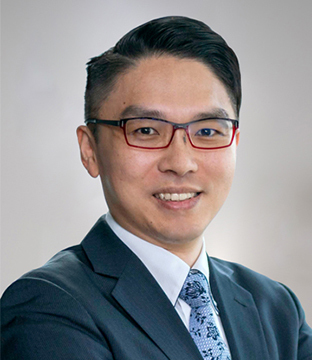 Mr Kwok has extensive experience in cross-border complex commercial disputes resolution, regulatory investigations and compliance, and other technology and e-commerce related disputes, compliance and advisory work. Having been practising in the Beijing and Hong Kong offices of international law firms, he is familiar with the disputes environments of Hong Kong, Mainland China and other jurisdictions. He is the first batch graduate from the E-Commerce Law stream of the Juris Master degree of Peking University, when he participated in various research projects on e-commerce regulatory matters commissioned by the China Ministry of Commerce and the National People’s Congress Finance and Economic Committee. He is currently a Member of the InnoTech Committee of the Law Society of Hong Kong, and a Lecturer (Non-Clinical) of the Faculty of Law, the University of Hong Kong, responsible for the China Information Technology Law course for Master of Laws and Juris Doctor students. Mr. Kwok frequently writes, speaks and advises clients on issues relating to blockchain, cybersecurity, privacy and data protection, digital signatures, virtual identity verification, anti-money laundering issues, and other legal issues in relation to the latest technology.